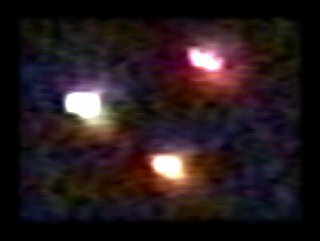 On going extraterrestrial activity is taking place in ISRAEL since 1995. 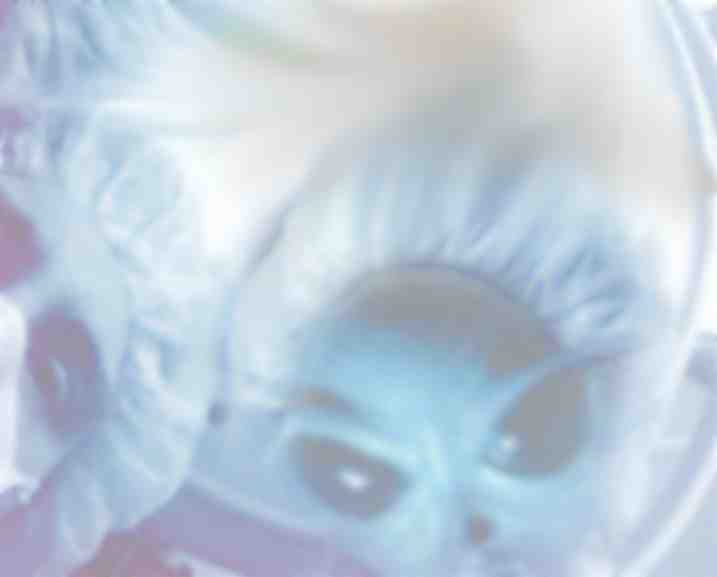 Alien medical teams from other realms or dimensions cure humans at Healers-Mediums alternative medicine clinics. Patients feel strange sensations during the treatments (itching, heat or cold, increase or decrease in gravity sensations and many more) and some even see and communicate with the Aliens medical teams. The number of clinics has increased steadily and presently ( 2003 ) there are 50 clinics in ISRAEL and 464 in the USA, (according to the Aliens). Alien alternative medicine clinics also exist in other countries ( England, Denmark, Australia ). ET medical activity helps to raise public awareness and increase acceptance of Alien existence. Organized ET medical collaboration with Healers and Mediums is a leap forward in Alien-Human contact and collaboration beyond just UFO sighting, random contacts, encounters, abductions, or crash events as happened in Roswell. The Aliens treat humans in alternative medicine clinics only after the patients give their full consent. No abductions take place. In addition to the Alien medical activity, they willingly collaborate and answer questions on different issues including: information about Aliens and their activity on Earth, general science, astrophysics, and even Earth actuality events. Alternative Medicine news: Invisible Beings help Healers in ISRAEL. In ISRAEL an increasing number of Healers claim to almost miraculous results in a variety of medical conditions including serious diseases. The Healers claim for collaboration with invisible Beings from other dimensions or realms. Invisible ET team up with healers to cure humans in more than 50 clinics in Israel. Many people life ware saved as a result of Alien medical teams treatments. Adrian Dvir was born in Rumania in 1958. 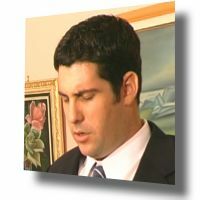 Dvir holds a B.Sc in Engineering and an M.Sc in Computer Engineering. Married with two children and living in Israel since 1965, Dvir develops military computer systems at a major Israeli communications company. 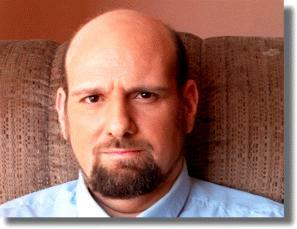 He first acknowledged and began to use his abilities as a Medium, Psychic and Healer in 1992. Two years later he became aware of spirits, ghosts, spiritual guides, light entities aliens and other multi dimensional beings. A compelling personal account of contact by channeling and healing in collaboration with spirits, ghosts, spiritual guides, light entities, multi dimensional and alien beings, the book’s first appearance in Israel in 1998 stimulated a flurry of excitement and media interest. Adrian Dvir, an alien contacted cures sick people and uses his daily contact with Alien medical teams and entities to learn about them as much as he can. Dvir is conducting research on the Aliens. The book is printed and distributed in the USA By Book Masters Inc. and also distributed by Ingram, Baker & Taylor, New Leaf. The book is available in book stores and from most online vendors. in Alternative Medicine, New Age and UFO. Diana: My name is Diana, and I have been a sensitive since my early childhood. I work in cooperation with spiritual entities and benevolent extraterrestrial figures. Aliens: We are in a state of mutual and cosmic cooperation. We work together with other Healers and Light workers to bring faith, healing, spiritual and physical renewal to the various populations of the world. The groups represented at this moment wish to bring you messages of hope and peace, of love and understanding. We have for many years observed and have been part of the ongoing events of your population. We live in different realms but we are your cosmic brothers. We wish to tell you at this time, that we have decided to reveal ourselves. After years of observations we have decided to come and bring you the advantages of physical healing. We are at this time ready to work through our foremost messengers Adrian Dvir and Hagai Katz. Adrian Dvir has written books through our inspiration, in order to explain to you who and what we are. We have advanced facilities. We have advanced research which we want to share with you. We want to relieve you of your desperation of your feeling of hopelessness. For we are messengers of love, understanding and faith. We are all messengers of the Almighty, the spiritual holy one, who wishes us to unite with you. For we are all cosmic brothers. Many of you have forgotten that you too are spiritual cosmic entities, and we are here to remind you. We want to spread the seeds of love and understanding. We have a gift for you. A gift that you can accept if you open your hearts and minds to us. Many of you can now feel and see us. And many of you need the encouragement and guidance of Adrian Dvir. Read his books, understand, comprehend who we are and what we can do to help you. You have forgotten that you are loving beings. Instead you spread the seeds of distress and isolation. You are not isolated. You are part of the cosmic wholeness that includes various dimensions and different universes. We can bring you this understanding. We can bring you the memory of your spiritualness and spirituality. Just give us the opportunity. Decide to cooperate with us, read the books, come to our lectures. Feel the presence of benevolent extraterrestrial entities. We are doctors who bring you loving tender care, with advanced technologies. We are here to help you. We want your planet to become part of our interplanetary confederation. But you must want to do that. You must want to help yourselves. You must want to mutually respect yourselves to respect mother Earth, to respect the plants and animals that have been given to you as gifts as reminders of God's love and interest in your welfare. We ask you only to open your hearts, to open your minds. Be ready to hear us, to see us. It is your decision whether or not to except our help, in your spiritual and physical argue. Thank you. The alien medical teams study our anatomy, physiology and common diseases in order to find cures for human illness. Other Alien teams study Earth Ecology. Observe Nuclear, Chemical and Biological development of weapons as well as many other fields of human civilization. The research teams are part of a huge organization: the Aliens' Council. They represent 54 Alien civilizations. The aliens disclosed that many similar Alien organizations exist. The Aliens' Council's purpose is to include planet Earth as a member in their organization. Lately the 17, 45 and 68 Alien Planetary organizations also made their presence known on Earth and collaborate with the 54 Organization in medical activity. On Mars 29, 2003 we received information that the Alien organizations unified into one organization and are now called "The One". Other higher hierarchies are the Council of 9 (mentioned in the medium Phyllis Shalimar books), the Council of 5 and probably many more. A by product of the aliens fantastic travel speed is their long distance inter-galactic communication system. Radio waves or Electromagnetic waves are too slow to be used in inter-galactic communication. The Aliens use faster means of communication. On March 8, 2003 the ET finally released an explanation concerning about the changing speed of time . The changing speed of time is a result of the expansion of the speed of the universe since the local Big Bang. The Aliens claim that this expansion is non linear that it but oscillates at different speeds. The speed of expansion affects the speed of time (or time velocity). The Aliens explain Universe origin, Universe size and Universe age. Aliens claim that Parallel Universes exist. We can call it parallel dimensions, parallel realms extra-dimensions or inter-dimensions. Alien implants have been known for many years to UFO researchers. Many samples were surgically removed from abducted people. Our Alien medical teams use medical implants to support or replace bodily functions by inserting artificial devices. How Aliens travel faster than the speed of light is a contradiction to light speed limit and Einstein's theory of relativity that prove travel at such speed or higher to be impossible. Crop circles, UFO landing marks are means of proclaiming: We exist and we are here. It is a gentle way of letting humans know of ET existence without causing panic. How do mediums and psychics channel with Aliens and spirits. We met in the Alien's clinic to channel messages about the Iraq War. The invisible ET speaker that borrowed Diana's voice for a few minutes says there will be no questions and started with a historic review, from the Second World War, emphasizing continued struggle by the enlightened citizens for personal and communal freedom on planet Earth. The recent events include Sep 11, 2001, personalities as Bin Laden, Al-Qaida, Taliban, the Afghanistan War and the current Iraq War. The terrorist leaders are united in a plan to control and destroy the free world by unleashing non conventional mass destruction weapons on democratic nations . This is the last chance of the world to prevent wholesale slaughter, prevent planet scale massacre planed by dictatorships, terror supporting countries. In a series of Q & A the Extra terrestrial Rajim disclosed new information and clarified extraterrestrial involvement in the Iraq war, also disclosure of future plans and coming planet scale events for the next 5 years. Gaya (Soul of mother Earth) and two representatives of The Law of One. During a meeting in Rishon- Le- Zion, ISRAEL, with guest Healers from the UK: Eileen and Clive Jones ,some local friends and Hagai Katz, Diana Mann and Adrian Dvir, We received the following message. A soul of a critically wounded boy refused healing and asked to be released. Will the Aliens help with SARS Virus ? April 29, 2003. As part of my work as a medium and healer that collaborate with entities and Alien medical team, I treated many patients born after World War II but still bear deep scars of first hand experience holocaust atrocities as part of previous incarnations. Entities show no ID or driving license but they use names: Eliahu, Moshe, and even Jesus are the common names we encountered during some of the treatments. We can never know but to judge the Entities not by their names but by their doings. In addition to the Alien medical Activity we should not forget important self healing we can do. Alien medical team treat Parkinson Disease. Read about healers and their experience with this disease. A man called me on May 2, 2003 claiming he had to see me urgently for consultation. The treatment was unexpectedly strange and bizarre. Adrian, a computer Engineer, who was never interested in ghosts, spirituality and mysticism and never participated in a séance, discovers that he possesses unique psychic powers of extra-sensory perception ( ESP ), which enable him to see and communicate with entities from other dimensions. What is also called clairvoyant. Adrian decides to investigate further and in a series of unusual mysterious experiences involving other psychics, he encounters spirits, ghost, light creatures, entities and spiritual guides of the after-world. He also, unexpectedly, discovers other worlds parallel to ours populated with a wealth of alien beings. Through his quest to understand, he meets a medical research team of aliens from another dimension who ask his permission to open an alternative medicine clinic adjacent to his apartment. He agrees and so begins his collaboration with this most unusual medical team. 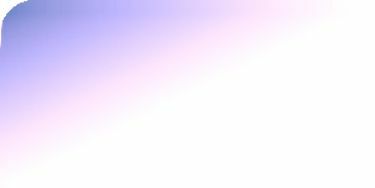 Gradually establishing his practice as a healer, Adrian begins applying his knowledge and skills together with his special psychic powers of extra-sensory perception and telepathic ability to heal people with the aid of the spiritual guides and alien medical team. His close collaboration with the alien team affords him the opportunity to learn a great deal about the Aliens and their medical practice. They willingly accept his probes for knowledge and grant him free access to their telepathic communications center. He is encouraged to make contact and freely ask questions. In a fascinating series of documented dialogs between Adrian and the aliens, the reader can find a wealth of knowledge about alien life, technology and their plans for the human race. This book takes the reader on a journey, together with the author, of gradual exposure to new ideas, other worlds, and new possibilities. The reader becomes privy to inside knowledge about the universe and the wealth of life forms that it sustains – most of which are far more advanced than the human race. And the reader will find that these aliens have been monitoring the development of mankind since its inception. The ET medical teams are just one small part of a huge effort to integrate planet Earth into the highly advanced community of the galactic civilization. The extraterrestrials main efforts are aimed at studying Earth Ecology and many other aspects in order to facilitate a smooth integration. Many extraterrestrial teams are at work preparing Earth for this event. Amazing alien technologies are hinted at, based on a totally different understanding of the universe and its physical laws. In his fascinating dialogs with the aliens, Adrian achieves small glimpses of this unknown universe. The book is divided into three main parts. First, are the personal psychical experiences that lead Adrian to enter into the ‘twilight zone’, into uncharted worlds. The second part documents alien medical treatments, and finally in the third part, Adrian delves more deeply into alien physics and other spheres of advanced ET scientific knowledge. 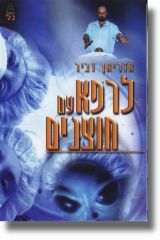 Adrian Dvir first Hebrew book, about Healing Entities and Aliens, published in Israel in 1998 by Gal publishers. Now in its 4Th edition. This is Dvir’s second book continuing his account of his work as a healer aided by benevolent highly evolved extraterrestrials, whose aim is to study and benefit mankind. 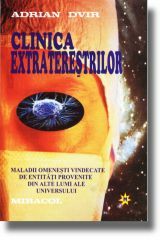 Adrian Dvir first book in Romanism "Clinica Extraterestrilor" published in Bucuresti Romania in 2001. 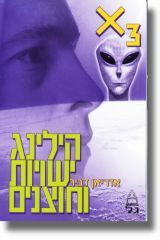 Adrian Dvir first English book: "X3, Healing Entities and Aliens", Printed in the USA by Print Masters Inc, in 2003. A compelling personal account of contact by channeling and healing in collaboration with spirits, ghost, spiritual guides, light creatures, other-dimensional and alien beings. The book includes a CD with Patients and Healers testimonies and channeling with Aliens. This is Dvir’s second English book continuing his account of his work as a healer aided by benevolent highly evolved extraterrestrials, whose aim is to study and benefit mankind. Thanks to Dvir’s courageous openness in discussing his experiences, a growing number of people with similar interests and experiences have come forward. Dvir’s second book documents his contacts with some of them and recounts the expanding number of alien-aided clinics. Today, in Israel alone, there are over 50 such clinics currently seen as one of the most effective means of alternative medicine available. Read more on Adrian second book including free chapters. 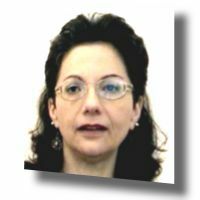 This website is preserved just as it was upon Adrian Dvir's death in June 2004. This website which he himself built was during his life continuously updated by him with the co-operation of friends. Adrian dedicated his life to his family, to research and development in the field of electronics and computers, to humanity and to the universe. The books that he wrote and this website serve as a testimony to his magnificent work as well as a source of valuable information to the public. In the name of Adrian's family and friends you are invited to tour this website and marvel at Adrian's life's work.